An Iron Candle Holder Spike. An Iron Candle Holder Spike. 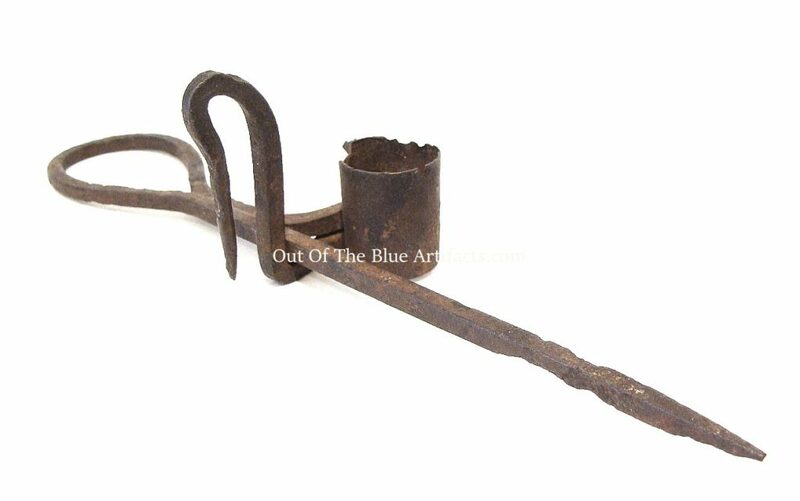 An American Miners Candle Spike. It has a sprung candle holder to accommodate any thickness candle which may be produced to fit this design of spike. It has a spike and a hanging hook. Age unknown. Size 9″ inches long.